Happy Friday the 13th to all. I’m especially concerned each Friday the 13th because I live on Crystal Lake so hopefully I will live through another Friday the 13th in spite of this. 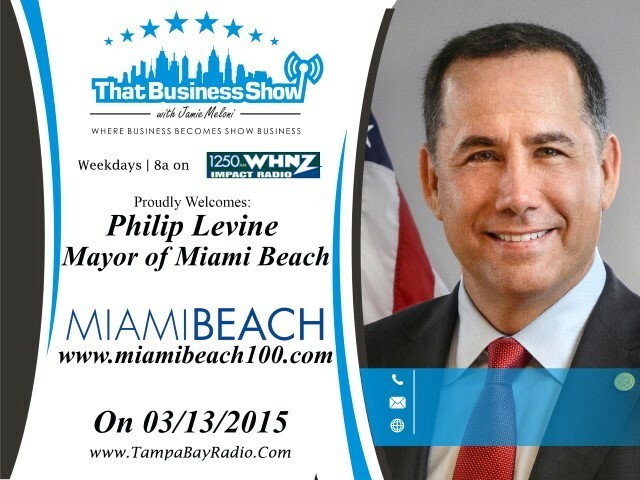 Today was another fun and entertaining show on That Business Show as I welcomed on air the Mayor of Miami Beach, Philip Levine. Mayor Levine is in Tampa promoting Miami Beach’s 100 100 Hour Celebration March 22-26 celebrating the city’s 100 year birthday. Mayor Levine speaks of the history of the City and discusses all the great events going on that week including a wedding on the beach ceremony that he is officiating where he will be marrying 100 couples. They will be holding a naturalization ceremony on Wednesday March 25th to naturalize 100 new US citizens and the week is highlighted by the Thursday March 26th concert at the Hard Rock Hotel featuring Andrea Bocelli, Barry Gibb and Gloria Estefan. To get more information and to attend this free event, visit http://www.miamibeach100.com! 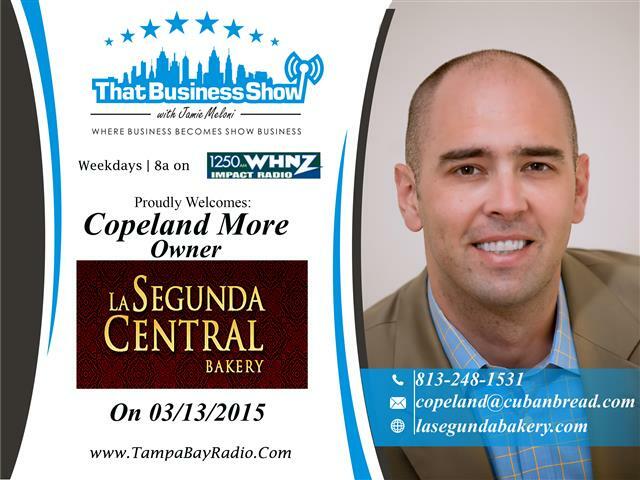 On the 2nd half of the show, I spoke with Copeland More, a 4th generation owner/operator of the 100 year old Ybor City baker, La Segunda Central Bakery. This business has a rich history in Ybor City going back 100 years and Copeland speaks of its nationwide distribution channels and their 100 year old relationship with the Columbia Restaurant, another Ybor City restaurant with a deep history and impressive ambience. La Segunda Bakery has 48 employees and has a very deep family atmosphere both with their employees and their many regular guests that have patronized the restaurant for decades. Be sure to stop by this amazing bakery located at 2512 N 15th St Tampa which is open from 6:30am to 5pm daily to experience their incredible pastries of which we got to sample live in studio today. Contact them at 813-248-1531 and learn more at http://www.lasegundabakery.com!